Are you allowed to take your vape to the airport? Here’s a look at some much needed clarification on the matter. Vapes on a Plane – Are Vapes Allowed in Airports? 09 Oct Vapes on a Plane – Are Vapes Allowed in Airports? Vaping has become a worldwide sensation now with several different kinds of vaping devices available in the market. Despite the fact that these devices come in all kinds of shapes and sizes, their basic function and the technology used within them is essentially the same. They have a cartridge to store the e-liquid, a battery and a component that vaporizes the liquid that allows it to be inhaled through a mouth piece. When it comes to vapes and travelling in planes, we will tell you right off the bat that there definitely are issues there somewhere. Travelling with ecigs and vapes in planes and taking them through the security at airports definitely is not as smooth as you would like it to be. We are going to tell you everything you need to know about the matter at hand. Although vaping has been around for a while, it has only grown in popularity over the past few years. This is why there have not been any clear rules and regulations pertaining specifically to ecigs. This is mainly because of the fact that there are questions as to how to categorize ecigs and vapes because they have not been in such common use for so long. Following in line with the traditional tobacco based regulations, vaping has seen itself become banned in a lot of places in the world. This means that in the places where smoking is banned, using ecigs is also treated in the same way. The World Health Organization has also recommended banning ecigs in all indoor spaces due to the potential harm from second hand vape just like with traditional cigarettes and second hand smoking. This brings us to the important question about vaping rules in major airports across the world. Some of the countries that have outright banned e-cig use in their airports are Hong Kong, Argentina and Singapore. There are some countries where vaping is actually illegal. You cannot even take your devices when you are travelling to Thailand. The country banned vaping in 2014 but not a lot of tourists know that. This is a warning for all Brits travelling to the country for their next vacation – Thai authorities will not only confiscate your vape but you can see some serious prison time if you bring one of these into the country. A lot of countries require you to properly seal the equipment when you are carrying it with you in an airplane due to the change in air pressure potentially causing leaks. Frankfurt Airport in Germany is one of the busiest airports in the country. They have disallowed vaping in the airport but there are designated lounges where people can go smoke. People who want to use vapes can go to these designated areas if they want to use their ecigs. The Hartsfield-Jackson Atlanta International Airport is downright one of the busiest airports in the United States. They have also disallowed vaping in the airport except for the designated areas where smoking has also been allowed. Heathrow Airport is the busiest airport in the United Kingdom. You cannot smoke or vape inside the terminal buildings entirely. There are however, designated areas outside the terminals where you can smoke tobacco and vape as well. Make sure your vape devices are switched off when you have packed them. Store the batteries of your vape away from magnets and any loose change. Make sure that the extra batteries for your vape are properly packed. Never attempt to charge an ecig while you’re in the plane. 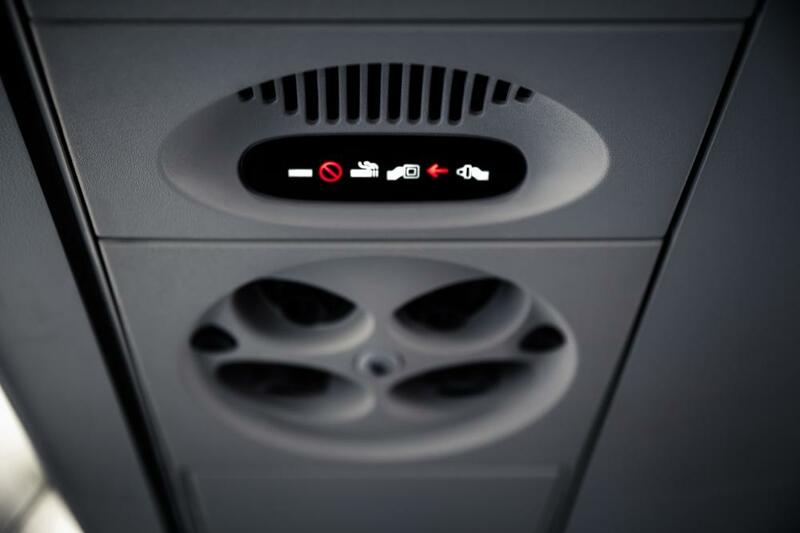 Due to changing air pressure when the plane climbs, there is a risk of the e-liquid from your vape leaking. Make sure that you have it tightly packed. Just follow all the necessary precautions and you will be good to go. For information about some of the best vaping products in the UK, feel free to visit https://www.ibreathe.co.uk/. Germany limits vaping to 18+, do your research. We stand corrected, thank you for informing us.